After fighting Malum in the Battledome, Aeithia has brought him to Taelia. Something wasn't right about this and Aeithia wants to get Malum's side of the story. Taelia is hopeful she can revive him. For this step you will need any Taelias Concoction's you have stashed away. Currently, you will be using Taelias Concoction I, Taelias Concoction II, Taelias Concoction III, Taelias Concoction VI, Taelias Concoction VII and Taelias Concoction X. Start by visiting Taelia and click on the signpost along the right side to get to The Infirmary. 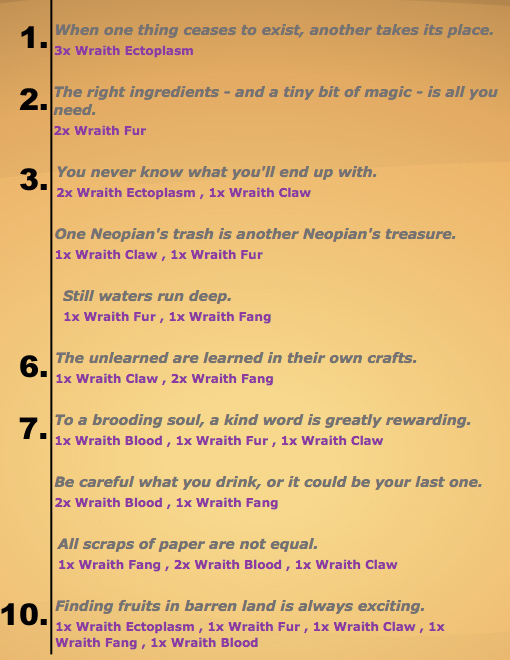 As you can see this step requires several different potions. 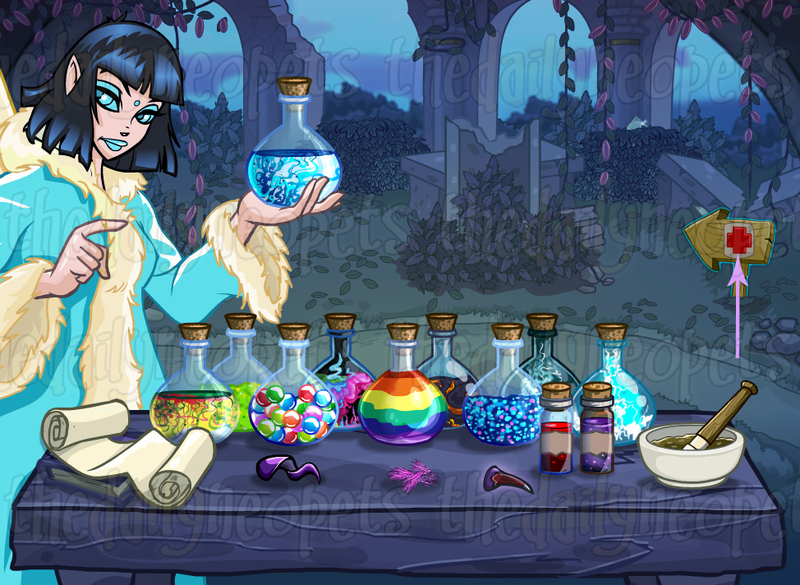 To make it easier to tell which ingredients are required to make each potion, use the image below as a reference. Upon arrival at The Infirmary, Malum will be waiting for medical attention. I Helped Malum Donate two potions to Malum. Mighty Magnanimity Donate four potions to Malum. Malum Rises Donate six potions to Malum. One of (Every) Kind Donate one of every potion in the infirmary. You may need to refresh the page to be awarded the avatar. The Snowager is awake. He'll be sleeping in 29 minutes, 23 seconds.